Limited Lifetime Warranty. For more information please contact 1-800-628-0525. Make quick and easy measurements with the DEWALT 25 ft. engineer scale tape measure. Featuring 10 ft. of standout, it has a fractional read blade. Durably constructed, it has a rubber slide lock and five case screws that help it stand up to the rigors of the job site. 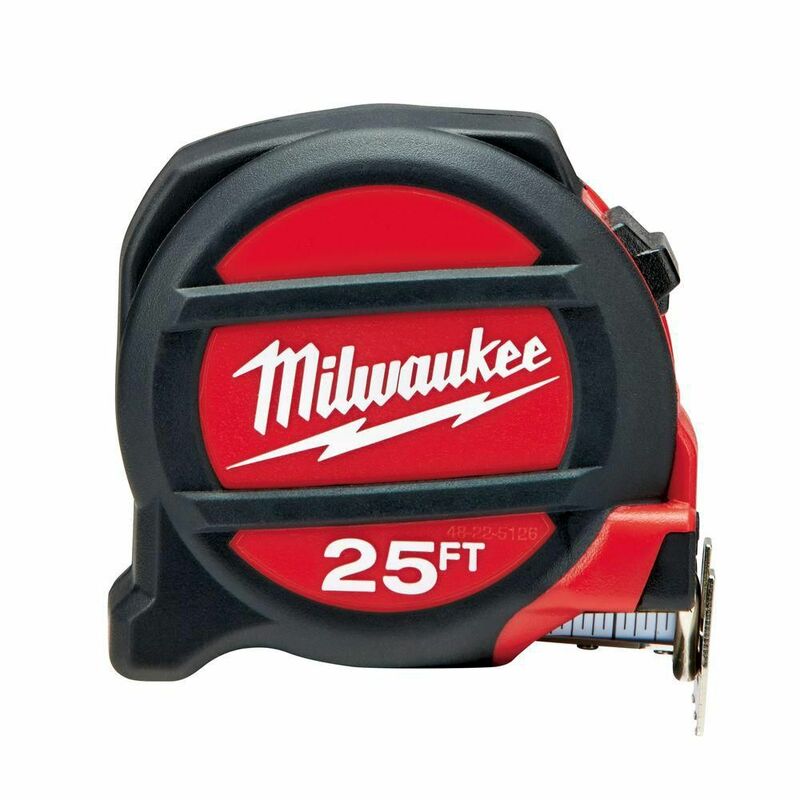 25 ft. Non-Magnetic Tape Measure Milwaukee Magnetic Tape Measures are Nothing But Heavy Duty. Using Nylon Blade Protection and a 5-Point Reinforced Frame, they offer up to 10X Longer Blade Life, by resisting contamination wear and increasing protection when dropped. An additional innovative feature is the Finger Stop, which protects your finger when the blade retracts. 25 ft. Non-Magnetic Tape Measure is rated 4.4 out of 5 by 687. Rated 5 out of 5 by MAGA from Has nice features like the ability to stop the tape... Has nice features like the ability to stop the tape with your index finger which is nice and the magnet is fairly strong you can run the tape out if you have the magnet on a metal surface. Rated 1 out of 5 by Sparky from These have the best magnets but the blades are terrible. It didn't last one full day in the fiel... These have the best magnets but the blades are terrible. It didn't last one full day in the field. I was using this brand new tape measure for layout and it kinked around the 10" mark. I'll be going back to fatmax. Rated 5 out of 5 by Nickg from Awesome tape measure it hold on to anything metal just... Awesome tape measure it hold on to anything metal just as advertised! !